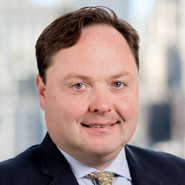 Beveridge & Diamond welcomes Christopher Strunk to our San Francisco office as Of Counsel. He adds to the firm’s already formidable capabilities in toxic tort and commercial litigation. In addition, he brings new capabilities related to environmental regulations impacting the cannabis industry. Chris is an accomplished trial lawyer who for the past 18 years has litigated complex environmental disputes at both the federal and state levels before judges and juries. Chris has handled hundreds of matters from the filing of the complaint through trial, verdict, and appeal, defending Fortune 100 companies at deposition and in the courtroom against claims for toxic injury originating from a multitude of airborne and water-borne contaminants including benzene, lead, mold, and asbestos. Chris also litigates CERCLA and RCRA matters. When not in court, Chris counsels clients on risk management and compliance with state and federal environmental statutes, and he defends clients charged with alleged violations of environmental regulations. Chris also has developed a practice addressing the environmental concerns of suppliers to the emerging cannabis industry, including the successful defense of “first of its kind” toxic tort claims against a fertilizer manufacturer and distributor. He has also been appointed to the American Bar Association’s task force on emerging cannabis law and sits on the planning committee for the Defense Research Institute’s 2019 Marijuana Law seminar. Prior to joining B&D, Chris was a partner in the environmental practice group of a San Francisco-based national law firm. He is admitted to practice in California, Illinois, and Pennsylvania.